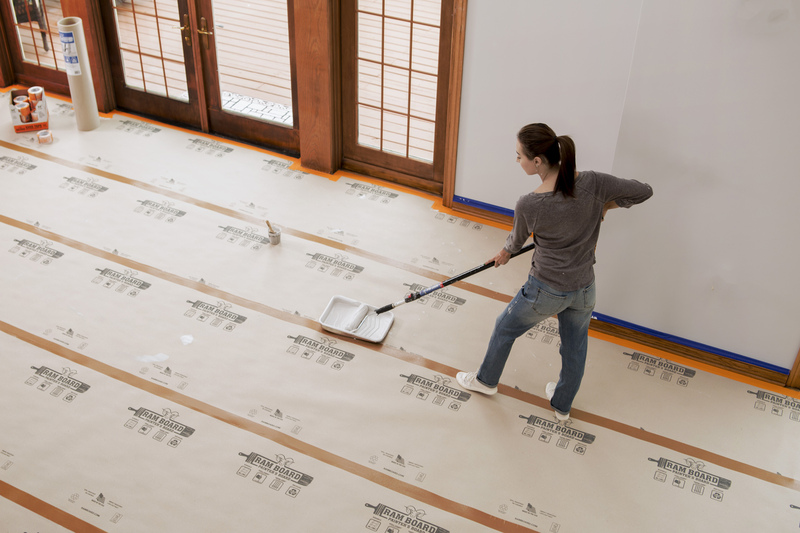 Painter’s Board is designed to provide tough and reliable protection against spills and floor damage during painting projects. Engineered with the same strength as Ram Board, Painter’s Board delivers the kind of protection red rosin paper just can’t. 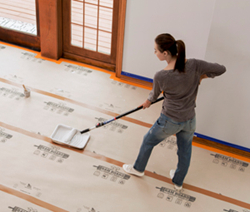 Ram Board’s new Painter’s Board is designed to provide tough and reliable protection. The paint market needs an easy to use, reliable, more durable floor protection product and that’s where the Ram Board team uniquely developed the one of a kind Ram Board Painter’s Board. Each lightweight roll is 35 inches wide, allowing it to fit in standard residential halls and most doorways. Weighting only 10 pounds per roll, it is easy to move multiple rolls at one time. Painter’s Board is now available. Visit RamBoard.com to locate Painter’s Board in your area. About Ram Board: Developed in 1999, Ram Board was originally designed to protect floors from the heavy demands of the movie industry. Word of Ram Board quickly spread to the construction industry where it was put to the test under the rigorous demands of contractors. Because of Ram Board's commitment to excellence, innovative additions to their product line, and continued improvement to existing products, it rapidly became contractor's #1 choice for floor protection. Ram Board is now sold through over 7,000 local lumber and supply stores worldwide. What began in the studios of Hollywood, now protects construction projects worldwide.